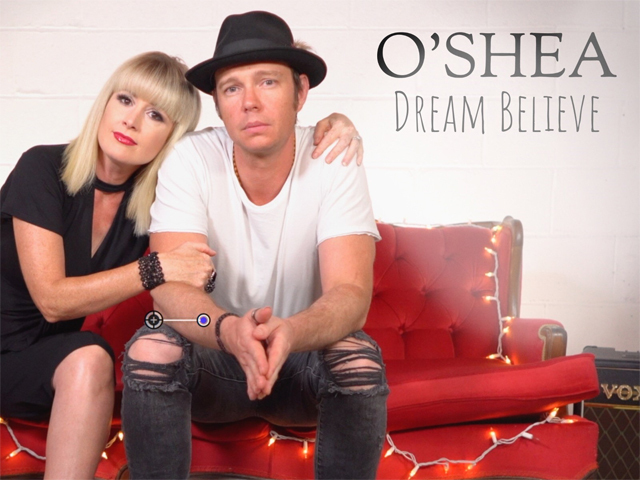 Australia's favourite Country duo O'Shea have officially released their new official single 'Dream Believe' from their latest album 61-615. The release of 'Dream Believe' follows the earlier singles 'Start Over,' which topped the official Australian Country Airplay chart as well as the CMC Top 30 Countdown, the stunning top #10 single 'I Will Give Up,' and festival favourite 'Karaoke & Corona' which scored airplay across the USA on Sirius XM The Highway. Earlier this year, O'Shea hosted the 2018 Golden Guitar awards to great acclaim and were nominated for 'Contemporary Album of the Year' and 'Group or Duo of the Year' before returning to Australia to perform shows with US country superstar Billy Ray Cyrus and being one of the main attractions at the Groundwater Country Music Festival in July. In fact, the new music video for 'Dream Believe' features footage from their high-energy show at the festival. "Dream Believe, Work Repeat... is a motto we've been living by since we can remember. So happy to have written this song with Will Hoge and we had an absolute ball playing Groundwater Country Music Festival where we filmed most of the video," say Mark and Jay O'Shea. Based in Nashville for the last ten years, seven-time Golden Guitar winners O'Shea have graced some of the world's most famed stages, from the Grand Ole Opry to the Sydney Opera House, since beginning their musical together journey together in 2007. The influences of their two homes are all over their latest record, appropriately titled 61-615 in homage to both Australia and Nashville.